Facebook prevailed in a key legal battle late last week that saw a group of users allege that the site violated their privacy by tracking them across the web. A California judge ruled that the users who filed the suit cannot proceed with the allegations, and can’t even revise their case to try again. The users behind the suit argued that Facebook’s Data Use Policy “implicitly” promised that Facebook wouldn’t track users who were logged out. However, they got the timing wrong and inadvertently damaged their argument — the Data Use Policy was published four months after the site created a Statement of Rights and User Responsibilities that the users relied on to build their case. “The Data Use Policy plaintiffs cite and rely on did not exist until several months after Facebook published the most recent version of its SRR that Plaintiffs attach to their complaint,” U.S. District Court Judge Edward Davila wrote. 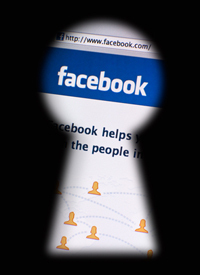 Facebook is no stranger to privacy litigation, and it will likely face similar suits again. Still, this ruling could be a costly blow to future cases.